CoilyQueens™ : HELP, my braid extensions are to tight! It's midnight, but you cannot sleep because your scalp is throbbing. Earlier in the day, you got a set of braid extensions. You should never allow someone to intentionally braid your hair to tight. Doing so is a sure way to cause permanent hair loss. 1. If you are wincing every time she does a braid. Extensions should be secure, but not uncomfortable. 2. If you need to take a painkiller before or during braid service. STOP! 3. 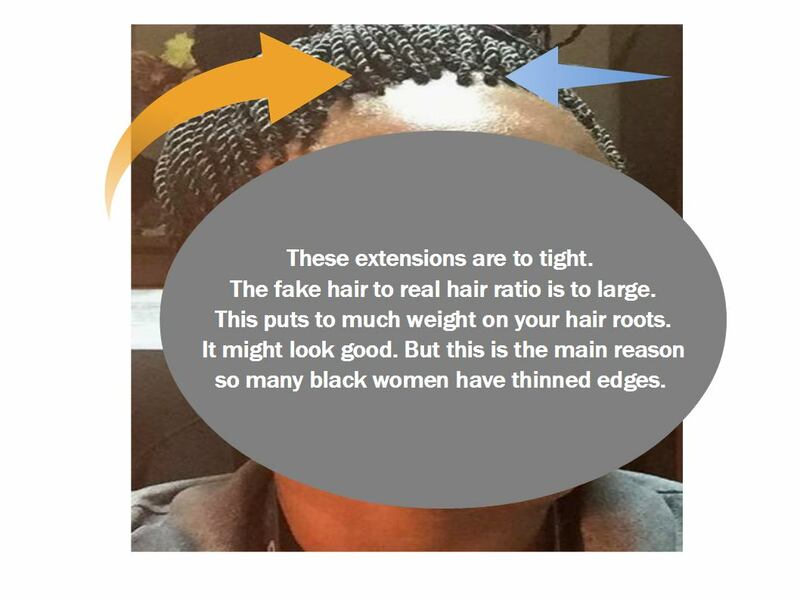 If you tell the Braider it is to tight and she continues to braid to tight. STOP! 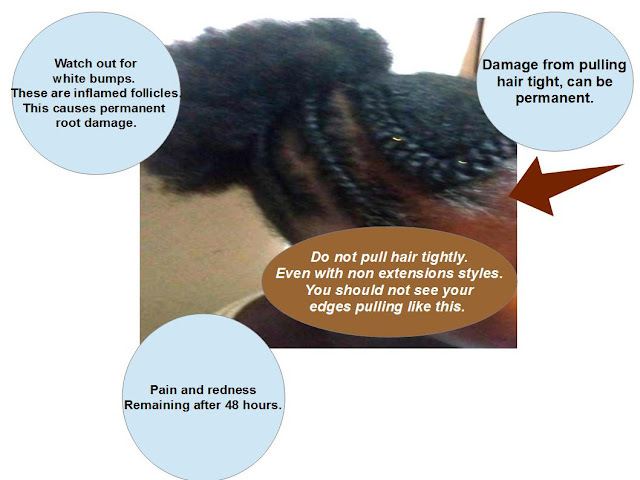 Test the tightness of your braids. Move your braid side to side, from the root. It should do so without causing you any pain. Say you got your hair braided and none of those things happened as you were getting it done. Your scalp felt fine when you left the appointment. But within a few hours or at bedtime, your scalp begins to hurt. Our muscles relax as we sleep. It is common for annoyances to be magnified when we lay down. Even to the point that it disturbs our sleep. 2. Apply some cold creamy leave in conditioner to tight area. 3. If a large portion of your scalp hurts. Run water over your scalp for about ten to 30 seconds. 4. Rub an ice cube over sore area. 5. Rub some pure cold aloe vera gel onto scalp. Gently massage scalp after each of these methods. There are times when you will need to remove the braids or weave quickly. Take this seriously. You can get "permanent" root damage. 1. Pain still bad, after 48 hours. 2. White bumps on the scalp. Those bumps are inflamed hair follicles, filled with fluid.